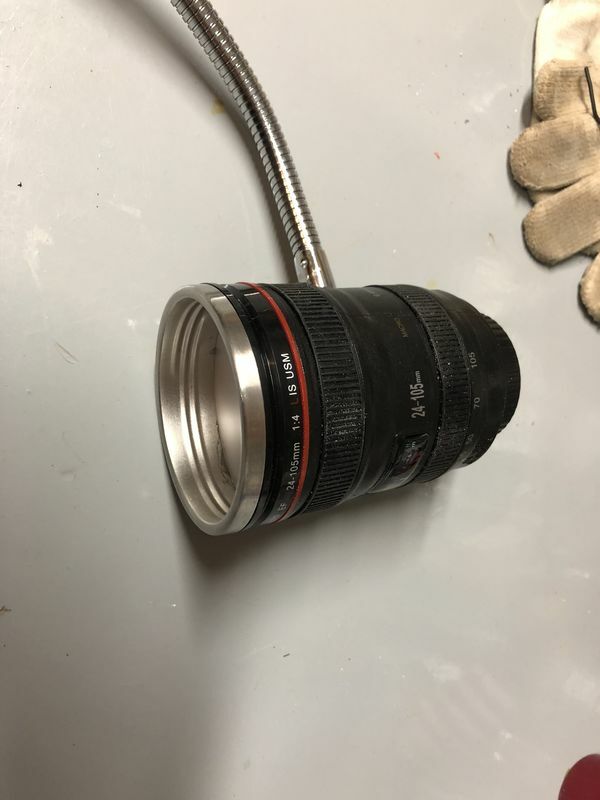 There was an article last month in PetaPixel on how to convert a camera lens mug into a lamp. As luck would have it, I got two mugs for Christmas and converted one into a lamp. Went to Walmart and got a LED desk lamp for the base. Yeah, one can fashion just about anything into a lamp. Looks like I have a project. I have 2 of these mugs also that I never use. Excellent idea! 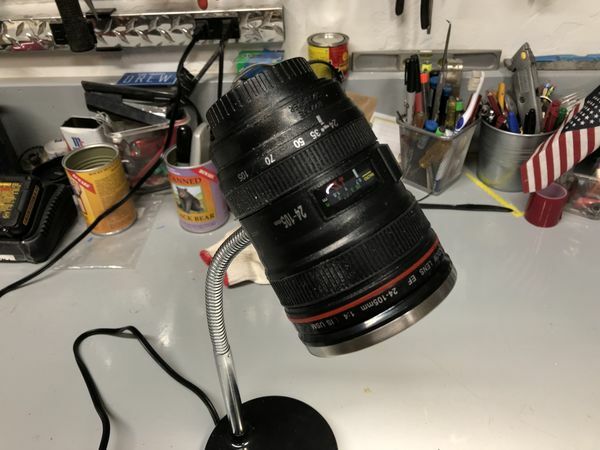 But... does a Canon lens/lamp have distinctive color renditions as opposed to a Nikon lens/lamp? And... is the VR/IS on or off? The video makes it quite clear to use a LED bulb/light. The confined space in the lens with an incandescent bulb will have serious heating problems. 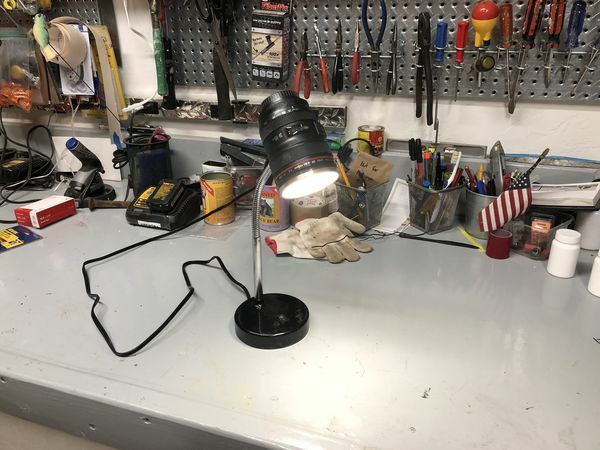 I didn't see photos but read somewhere that a person made a lamp using an actual lens. Don't have any details on the construction. I had an old Minolta lens that got damaged, wish I had it around to try.